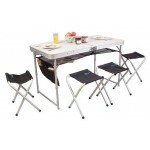 The Outwell Halifax S is a lightweight aluminium ‘roll-up’ table (ideal for a mystery tour) that benefits from being able to pack down very small. 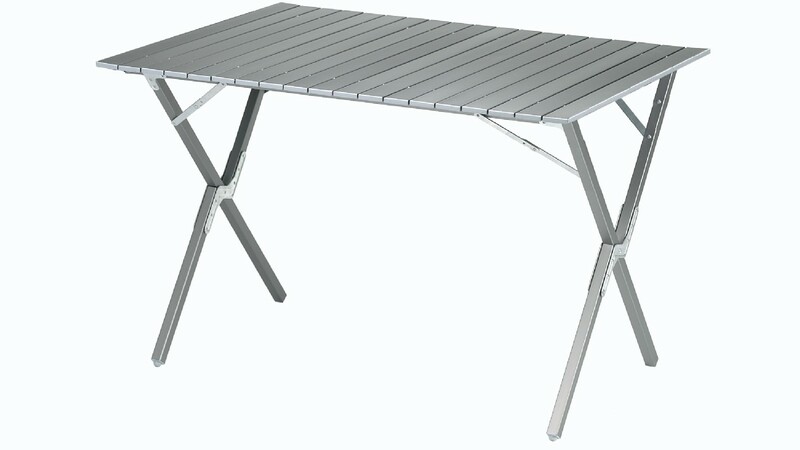 Features include a slatted top, foldable cross legs at each of the table corners - allowing plenty of leg room underneath the table. 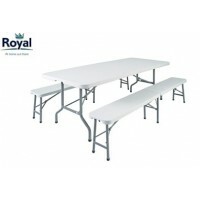 Assembled in seconds. 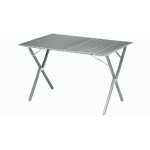 Comes with its own carrier bag for easy storage and portability. 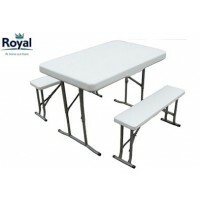 Open Dimensions: 55x84x70cm (WxLxH); Weight: 4.7kg; Pack Size: 97x17x13cm. 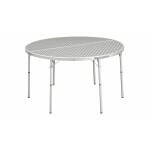 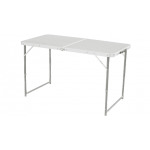 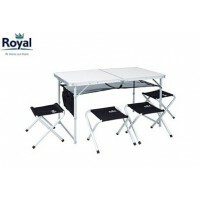 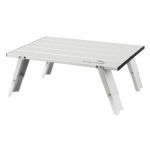 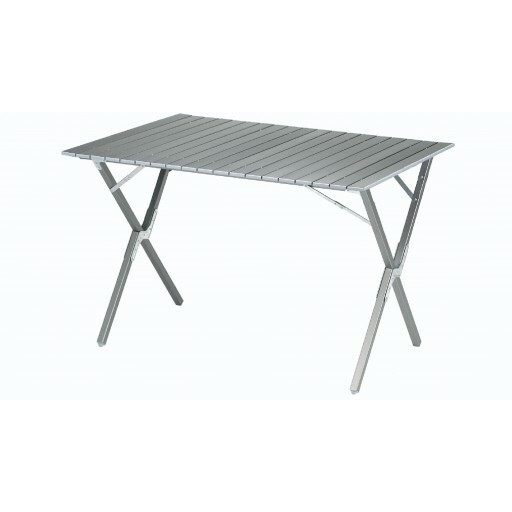 Outwell Halifax S Aluminium Camp Table .